Published on 11 Feb 2019 in FOSA, Year 7 News. Thank you to everyone who came to the Year 7 Quiz on Friday 8th February. There were over 250 people at the free event and it was thoroughly entertaining. Quiz master Mr Taylor created a great quiz of music, general knowledge, St Aidan’s knowledge and picture rounds coupled with some exciting interactive challenges for the students. 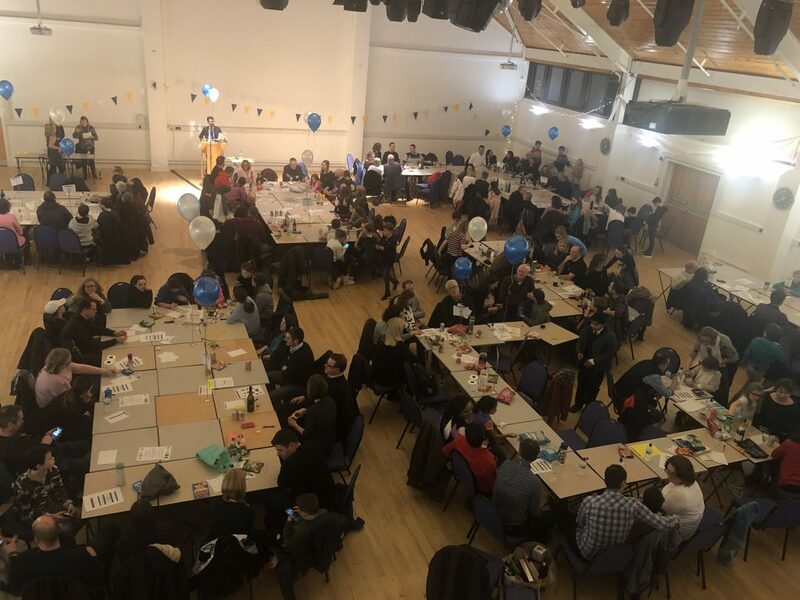 The event was organised by FOSA offering students the opportunity to buy drinks and snacks and join in with the Tombola which was full of exciting prizes donated by parents of Year 7. This year the quiz was won by 7P who are now the proud winners of a ‘burger and coke’ lunch. Thank you to everyone who gave a donation on the night, we raised £450.